“To educate girls is to reduce poverty” – Kofi Anan (former UN Secretary-General). 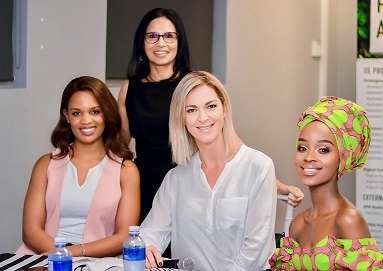 Ladies to Legends is a The IIE’s Varsity College annual event that resonates the belief that when one educates young women and girl children on pertinent matters, everyone benefits. Educated women are instrumental to economic growth and social change. During the panel discussion, Mags encouraged the women in the audience to join in the conversation which resulted in many personal stories being shared. The engagement between the audience was electric and empowering. The most memorable take-away from the evening was that, when women stand up and support each other, incredible things happen. 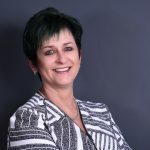 Said Louise Wiseman Managing Director The IIE’s Varsity College: “Self-development is important as it allows us to develop our internal drivers and motivators. It is these drivers that enable us to become the best version of ourselves. Now in its fourth year our Ladies to Legends event continues to be a great source of motivation and inspiration for young women who crave self-development. We’re particularly excited about this year’s theme: Nine Issues Affecting Women and Children around the World as it has a global view on the issues that women deal with. Issues such as gender equality, access to education and health, to name a few will be discussed at this years’ event.